Eight hundred years ago, Pope Innocent III presided over church and state in most of what is now Western Europe. He left no room for dissent. Non-Catholics, including Jews, Muslims and nonbelievers, were even required to wear clothing that distinguished them from the church’s faithful. Several centuries later, John Calvin held monumental sway over society in Switzerland, fostering regulations that prescribed much of daily life. For years kings and heads of the churches in Scandinavia allowed only Lutherans to hold worship services. Believers who gathered without the presence of a clergyman were imprisoned. Since Israel became a sovereign nation after World War II, some Orthodox Jews have tried to form a government ruled by religious law. They have been firmly resisted. But in neighboring Egypt, the Muslim Brotherhood is now attempting to force Islamic law on every citizen. As these efforts have failed in the past, I believe they will fail in the future as well. 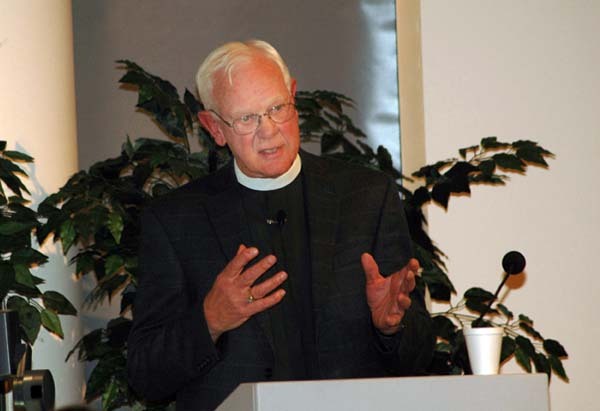 Read Bishop Chilstrom’s full op-ed here.